GCC spec, grey/silver 4 cylinder SUV/Crossover with grey interior. It has alarm and tyre pressure warning system. Automatic 2014 Hyundai Tucson with 17 inch wheels, MP3 interface, 4WD, black interior, grey/silver exterior. GCC spec. Automatic, 17 inch wheels, spoiler, airbags (front and side), black interior, black exterior. Zayed - I went to buy a used import Hyundai Tucson that I found online for a fantastic price, I was instantly sold by its spacious interior and exterior options and with the 2.0 L 4WD setup, it’s an excellent car. I’ll export it with me when I leave Dubai. Cons: Parking can be difficult due to big blind spots. Omar - I got my second hand Hyundai Tucson for a good price in the UAE, and I highly recommend these vehicles. Even with 2WD, it gets me to work and back in comfort plus it looks superb in 2014 trim. Pros: Ride, options and style. Cons: Steering feels sluggish at times. Tony - When I had the choice between the Rav 4 and the Tucson, I went for a pre owned Tucson Limited due to its lower price point for the options inside plus it looks better than the Rav 4. Pros: Style, options and ride. Cons: Starting from zero is not great. While it is an SUV, it packs a four cylinder petrol engine meaning fuel economy is quite good. During its early years both a V6 and inline four cylinder giving customers a choice of engines. Trips to the garage are few and far between as South Korean cars are similar to Japanese cars and the Hyundai Tucson falls into that category. In its current generation, nothing else on the road can compare as it has its own style. 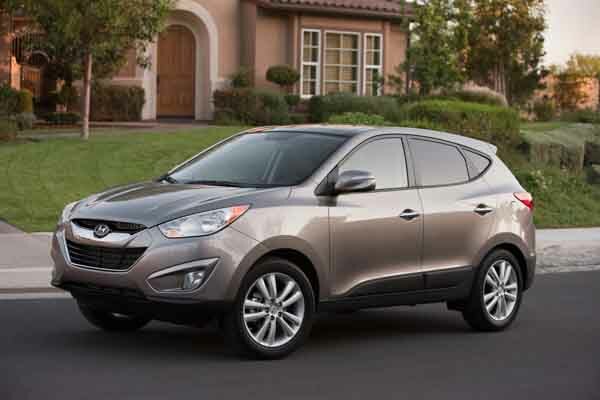 Need to get rid of your pre owned Hyundai Tucson for sale in Dubai, UAE? Well it’s easy due to it's easy to fix nature and robustness. Named after a part of America, this SUV took the world by storm as it held a low price tag while being reliable, holding five passengers and being economical when it comes to fuel consumption. Each model does exactly what it says on the tin, the specs may appear bare in base trims but it gets people moving. Year after year, the South Korean SUV continues to top sales charts and brings home numerous awards from around the world. Road Rivals: Nissan Murano, Honda CR-V, Toyota Rav 4 and the Mazda CX-5. Based on the Elantra platform and bearing many similarities to its sister company Kia Sportage, with its round exterior GLS models served as the base models with fabric seats, air conditioning and 16-inch rims on each corner where higher trims are equipped with cruise control, six airbags, electronic stability control, sunroof roof rails, rear spoiler and larger rims on each corner. Later in the generation, leather upholstery is available along with digital climate control and a six-disc CD changer. In 2009, the exterior received a minor refresh to both the front and back of the vehicle. Select trims were also dropped, added or changed. During its first generation, two engines are on offer. A 2.7-litre V6 petrol and an inline four cylinder 2-litre engine with both being paired to a manual or an automatic gearbox. Base models ride on a front wheel drivetrain while mid to top-range versions have an optional all-wheel drive system. Want to buy used Hyundai Tucson for sale in Dubai, UAE? Prices start at AED 13,000. 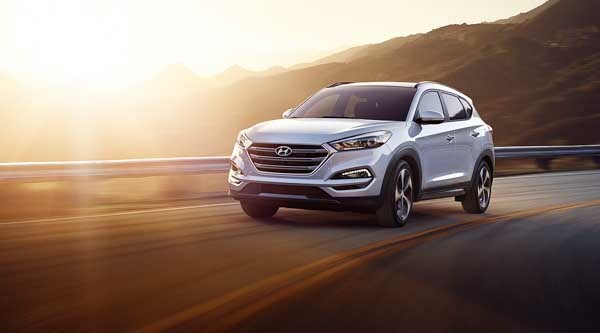 Entering its second generation, the Hyundai Tucson underwent a drastic change with a much more rounded shape all around. The interior also receives a massive overhaul too with base models equipped with air conditioning and fabric seats. Higher trim levels have Bluetooth options, media inputs, power seats, cruise control modes, CD player, heated seats, leather seats, panoramic sunroof, roof rails, parking sensors, adaptive xenon headlights, reverse camera, keyless entry and keyless start. The V6 engine is not available in this generation which leaves only the inline four cylinder motor with various displacements mated to either manual or automatic gearbox powering the front wheels or all four of them depending on trim. 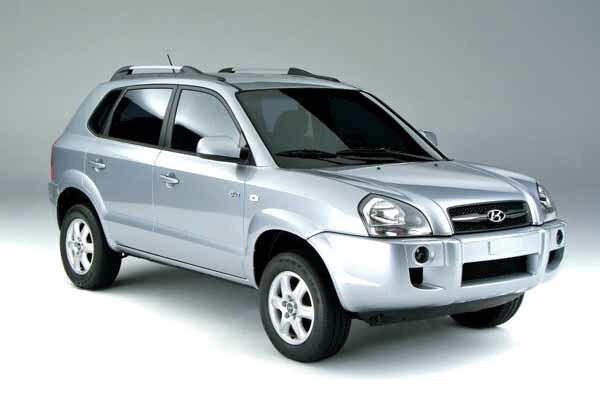 Looking to buy a second hand Hyundai Tucson for sale in Dubai, UAE? Prices start at AED 49,950. Rolling into its third generation, the Tucson once again received a massive overhaul once again with hints of Hyundai’s latest styling cues. With its sleeker new body, sale continued to climb as the vehicle appears much more desirable compared to its rivals. Base features once again include fabric seats, manual accessories and airbags. Higher trims have the option of leather seats, media inputs, Bluetooth, navigation, premium sound system Apple CarPlay, Android Auto, panoramic sunroof, parking sensors, reverse camera digital A/C and a whole load more. Regarding safety features, autonomous emergency braking, smart parking assist, speed limiter and blind spot detection mirrors are all part of the optional extras whereas multiple airbags, ABS and stability are standard. Powering these SUV’s is either a 2.0 or 2.4-litre inline four cylinder petrol engine mated to either a six-speed automatic or a dual clutch transmission (DCT) in particular regions. Looking to buy used Hyundai Tucson in Dubai, UAE? Prices start at AED 58,000.